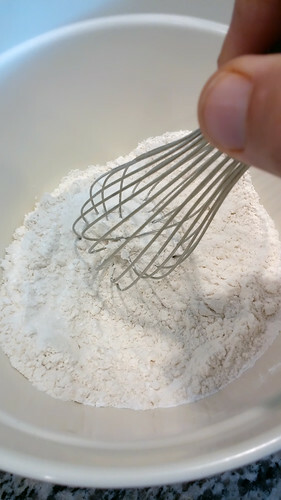 In a large bowl, place together flour, baking powder, sugar, and salt. Whisk together all the dry ingredients very well. Next, add milk, apple juice (you can substitute peach, mango or passion fruit juice, if you’d like), egg, vanilla, and lastly the Lilikoi butter. NOTE: Make sure the Lilikoi butter is not too hot, or it will begin to cook the egg. Immediately, whisk together all ingredients well until the batter has the consistency of molasses. 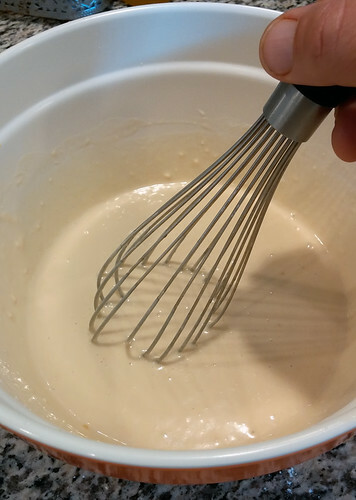 If the batter is too thick add milk, one tablespoon at a time, until desired consistency is achieved. 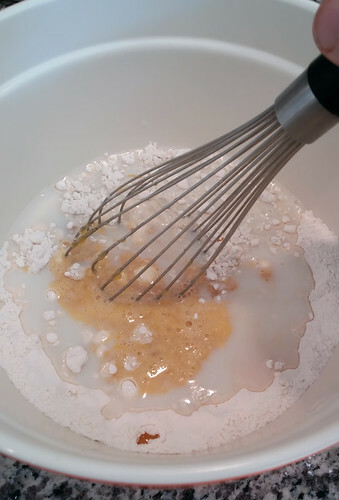 Do not over mix the batter … it’s okay if there are some small chunks in there. Over mixing will result in flat, tough pancakes. NOTE: At this point, if desired, gently fold in any of the optional ingredients listed above. 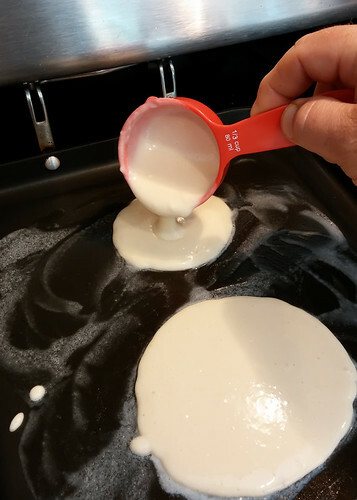 Pour 1/3 cup scoops of the batter onto a medium-flame heated, lightly buttered, griddle or pan. 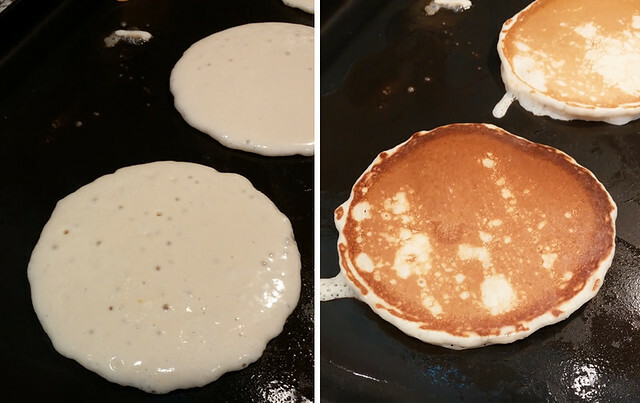 Cook until bubbles appear all over the pancake. Flip with a spatula. 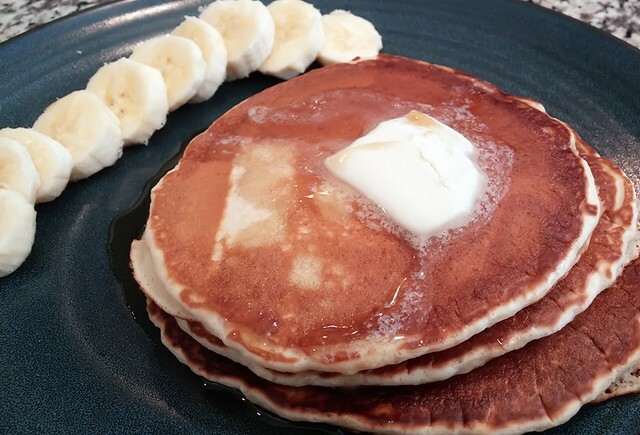 Pancakes should be golden brown. When other side turns a similar color, remove from griddle/pan. Plate with sliced fruit, eggs, bacon, or just let ’em fly solo. Top with a pat of butter and some pure Maple syrup. YUMMMMMMMMMMMMM! Sooooooo … who wants pancakes?!?! ?